TORONTO – Access to education plays a critical role in the social inclusion of refugees. 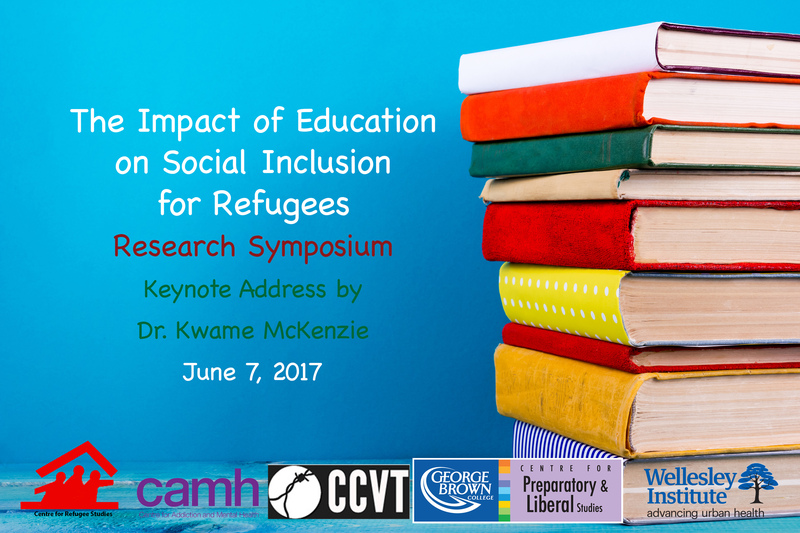 On June 7th, 2017 researchers from across education, health, human rights and others disciplines will come together to exchange ideas, promote research, education, and discussion and to facilitate collaboration in the field of refugee education and social inclusion. The symposium will hear from experts and those with lived experience around migration, cross-cultural integration, and more as we reflect on our political climate globally and what that means for those living and learning in our region. “The survivors we work with are individuals with their own family and cultural background, political and social involvement, spiritual and belief: to understand and assist them is to acknowledge and respect this diversity and uniqueness.